Four Yankees not only played at a high level on the diamond, but also did so on the hardwood. Baseball and football is the most common combination that two-sport athletes have found success in. It makes sense. There’s only a slight overlap in seasons. In any levels lower than the professional ranks, there’s basically no overlap. Running, throwing, and catching are all skills that are important in both. While there’s a decent-sized drop off from baseball/football, that’s not the only sport which has seen someone at least get drafted in both. (Shout-out to baseball Hall of Famer and NHL draftee Tom Glavine.) The next most common cross over you see is probably baseball and basketball. While only one Yankee player has also played in the NBA, a handful of others have played college basketball. Seeing as March Madness begins next week, let’s look at the select few to play in pinstripes and on the college hardwood. The only Yankee to have also played in the NBA was pitcher Steve Hamilton. His career in baseball was much longer, but he was the eighth overall draft pick by the then Minneapolis Lakers in 1958. Before his brief NBA stint, Hamilton played in college at Morehead State in Kentucky. He was the third-leading scorer on MSU’s 1955-56 team, and the leading scorer on the following year’s team, both of which made the NCAA Tournament. Hamilton won an NBA championship, but didn’t play much, and eventually switched to baseball, which he had also played in college. After a couple seasons with Cleveland and Washington, the Yankees acquired the relief pitcher in April 1963. He went on to play eight seasons in New York, and generally put up pretty solid numbers. Hamilton threw a combined three innings in the 1963 and 1964 World Series, which makes him one of two players to ever take part in both a World Series and NBA Finals. During his baseball career, Hamilton developed an Eephus pitch, which he managed to use to some degree of success. The most famous baseball player on this list is without a doubt Dave Winfield. His baseball credentials are basically infallible, seeing as he’s in the Hall of Fame. Long before reaching Cooperstown, he became one of a select few to ever be drafted by leagues in three different sports. While he only played baseball and basketball in college, he was also taken in the 17th round of the 1973 NFL Draft. As for the basketball court, he was part of the Minnesota team that won the Big Ten and went to the NCAA Tournament in 1972. They lost in the second round, but went on to win the regional third-place game, which apparently was a thing back then. Winfield was one of the Golden Gophers’ best players on that day, scoring 16 points and grabbing nine rebounds. 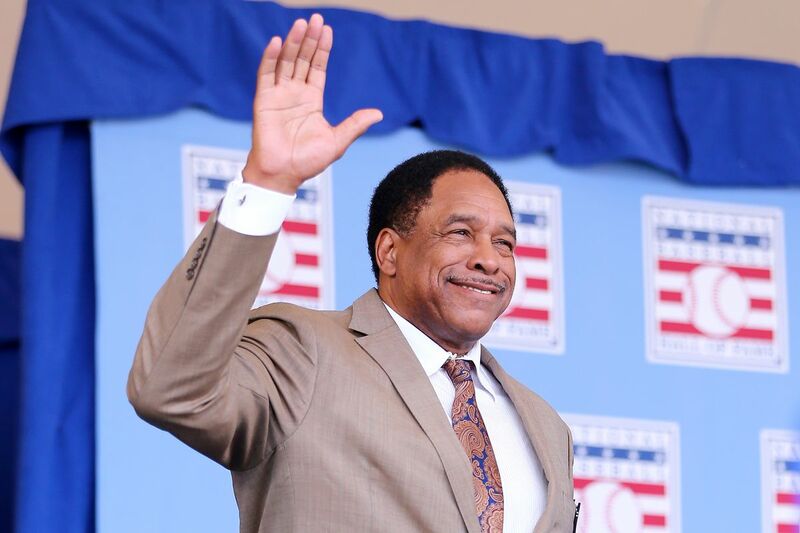 After the following season, Winfield decided to concentrate on baseball, and signed with the Padres, who had drafted him fourth overall in 1973. It ended up probably being the right choice, considering, you know, Hall of Fame. Kenny Lofton’s Yankee career didn’t go great. His numbers weren’t quite up to his career standards. With Bernie Williams already on the roster, there wasn’t a everyday spot for him in center field, and Joe Torre didn’t really make much of an effort to try and find a place for him. Before signing with the Yankees, Lofton had been a six-time All-Star, mostly with the Indians in the 1990’s. Prior to his excellent good baseball career (which at the very least should have gotten a little more Hall of Fame consideration than it actually received), Lofton played both baseball and basketball at Arizona. While there, he, like Hamilton, did something that makes for a quality fun fact. Lofton was a member of the 1987-88 Arizona Wildcats basketball team, which reached the Final Four. Among his teammates was current Golden State Warriors head coach Steve Kerr. He averaged just under 10 minutes per game in the tournament, with his best game coming against Iowa in the Sweet Sixteen. They came up short in the Final Four, but Lofton played 11 minutes in their loss to Oklahoma. Years later when Lofton played in the 1995 World Series, he became one of just two people to play in a Final Four and a World Series. Unfortunately for him, his teams came up short in both World Series he played in, to go along with the 2004 season, which was oddly cancelled after game three of the ALCS for reasons I cannot quite recall. The fourth player on this list is arguably the most impressive. Curtis Pride had an 11-year major-league career despite being born deaf. He played just four games for the Yankees in 2003, but had already been playing in the majors off and on for a decade. That’s also only part of his athletic prowess. When he was young, Pride scored two goals for a youth US men’s national soccer team at the 1985 FIFA U-16 World Cup. From there, he went on to college at William & Mary, where he starred on the baseball team, but also played point guard on the basketball team. Unlike the others, Pride never played in the NCAA Tournament. He never put up big numbers, and his William & Mary teams never had winning records. However, he managed to play at a relatively high level in three different sports while deaf. That’s pretty incredible. Considering that the MLB Draft is extremely long, and there are many slots in the minor leagues, there could be others that aren’t included on this list. For example, former Knicks player and Heisman Trophy winner Charlie Ward was drafted by the Yankees, but he hadn’t played baseball in college and never played a game in the minors. It’s hard to make it in college basketball or baseball alone. The fact that these four did in both is truly remarkable. All stats courtesy of Sports Reference.